Warehouse Management is complex business process with different process for Goods In and Good Out. Most of the WMS systems in the market are complex and very time consuming to use for Warehouse personnel. 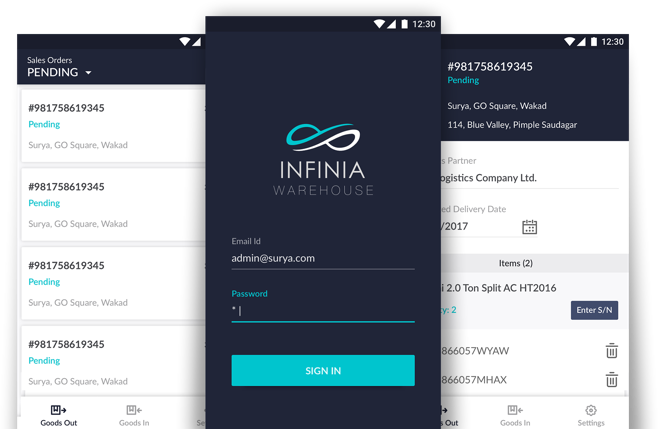 We started with user interview at warehouse of INFINIA customers and understood their current processes. We created a user journey and understood the current pain points in the complete Goods In and Good Out process. This helped us design some paper prototypes which we tested with customers and iterated to a better solution. This was further converted to high fidelity prototype and then to a React Native App along with a web backoffice system.